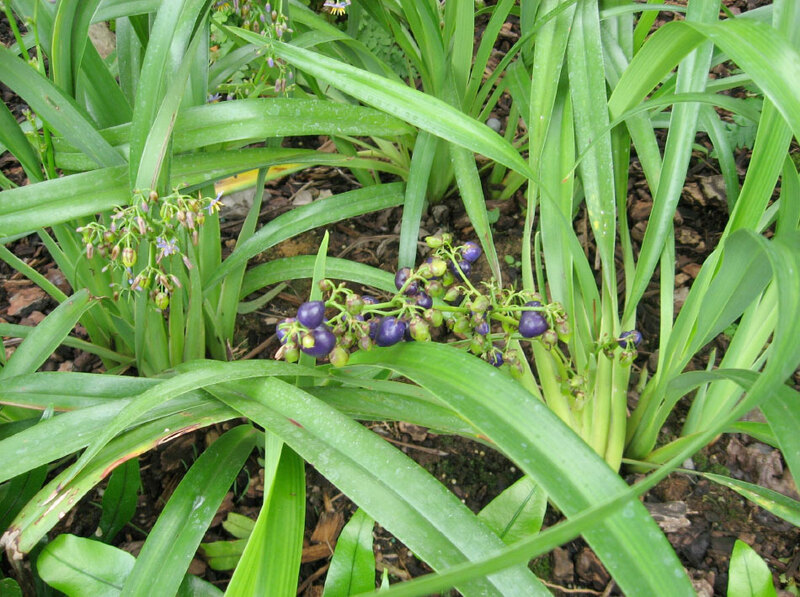 The genus Dianella, has gone through some family changes recently. Once was in the Lily family (Liliaceae). Then, in the Daylily family or Hermerocallidaceae. Now Dianella is placed in the Xanthorrhoeaceae. ʻUkiʻuki (D. sandwicensis) is the sole family representative native to the Hawaiian Islands. The generic name Dianella is from the Roman deity Diana (lit., divine), goddess of chastity, hunting, and the moon, and the Latin ella is diminutive or small. The species name sandwicensis refers to the “Sandwich Islands,” as the Hawaiian Islands were once called, and named by James Cook on one of his voyages in the 1770’s. James Cook named the islands after John Montagu (The fourth Earl of Sandwich) for supporting Cook’s voyages. ʻUki is also a name used for several native sedges. The fruit was used for seed lei and juice extract used as pale to purple-blue dye when mixed with lime for kapa. The leaves were also braided into cordage and for hale (house) thatching.The fruit were used in lei making.Uses the term “seed lei,” which may have reference the fruit itself, since the context of the sentence also says “the dark purple berries of ʻukiʻuki (Dianella sandwicensis)….” The term “seed lei” usually refers to a lei with seeds strung for permanent lei, such as wiliwili, lonomea, or kukui. Today, ʻukiʻuki fruit is stilled used as a natural dye for kapa and other cloths.